Pinoys always loved rice and it is one of the popular staple food on our bounty. We love it with almost any viand as long as the partner viand is tasty and heavy on the tummy. Tapsilog which is short for tapa, sinangag or fried rice and itlog or fried egg is one of the most popular breakfast for Filipinos. And for sure, tapsilog is not only served on breakfasts it is also enjoyed in almost any time of the day. Since this passion for tapsilog has risen, several food cart concepts have sprung up and one of the pioneers is Red Bowl. 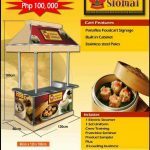 Customers can now get to enjoy tapsilog at any time of the day, in almost any spot in the metro for a fraction of a cost. This budget friendly meal from Red Bowl is not only a big hit on the savers but it’s also suitable for the pickiest taste buds. 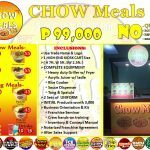 Red Bowl is one of the top seller food cart concepts of Pinoy Pao Express Inc which is formerly known as Filtrepreneur Franchise Inc. FFI is one of the pioneers in the food cart industry in the Philippines and is even one of the renowned and still crème of the crop in terms of this investment category. 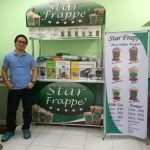 The company’s main vision is to be able to be an instrument in molding and helping the Filipinos who wish to be in the entrepreneurial industry. To a help alleviate poverty and to give more income for the Filipinos is what they wish to be part of. If you wish to be part of PPEi and have your own business and have the taste of being an entrepreneur without shedding enough money then this is your best option to invest in. 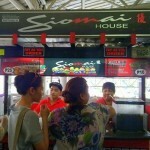 What is the Franchise Fee and the Inclusions of a Red Bowl Food Cart Franchise? 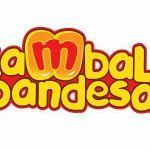 What are Steps in Franchising a Red Bow Food Cart? Step 1: Set an appointment for you to attend the orientation. (Text me, JP Dagos at 0906-9690572 / 0946-0722358). Orientations usually are done from Mondays to Saturdays at 11am, 12 nn or 1pm. Interested applicants who are residing outside Metro Manila may also avail by reaching the contact numbers mentioned. Step 2: Draw a sketch of your preferred or target location and send it to the office. And once your location is confirmed and accepted you can then proceed to step 3. 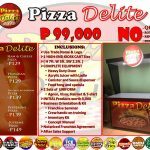 Step 3: Pay the Franchise Package of Php 100,0000 in cash, check or credit card. You can also pay through bank deposit through BDO or Metrobank. You also have the option to email the scanned receipt of deposit. Step 4: Submit a valid ID, preferably a government issued identification like PRC, driver’s license etc and sign the franchise agreement. Step 5: Attend the franchise seminar which will discuss further about the operations, legal concept and management of your business. In addition there is a crew training for your staff to attend to which is focused on the hands on process and lecture more about your food cart business. You will be the one responsible to select and hire your crew. 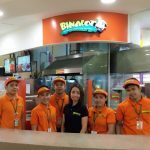 The franchisee and his staff will be trained in basic cart operation and product handling by the franchisor personnel. Step 6: Wait for your scheduled pick up or delivery of your franchise package. Normally this process takes 2 to 6 weeks. While doing this step, you can already start on processing the baranggay clearance, mayor’s permit, DTI etc. Step 7: Operate and good luck on your new business venture! The Red Bowl food cart franchise is available nationwide. Your food cart once purchased is complete and ready to operate once you have settled all the legalities. All you have to do is to start selling and start earning profits. Enjoying the benefits of being an entrepreneur for a fraction of a cost is one of the main highlights of this type of industry. What are you waiting for? Set up an appointment now and check it out for yourself. You can contact JP Dagos at 0906-9690572 / 0946-0722358 to schedule an appointment. Please tell him you saw the feature at iFranchise.ph! 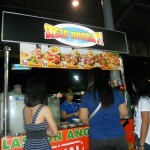 Is this available here in Davao City? Yes it is. Just contact JP. 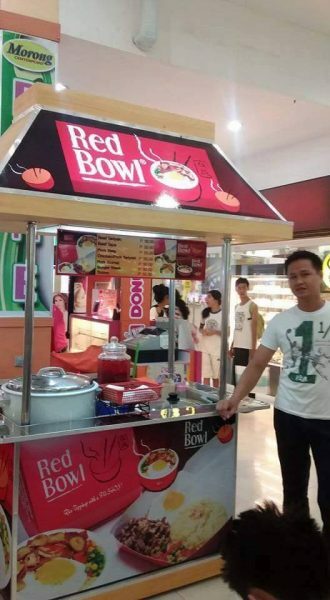 I am interested to franchise of RED BOWL do you have this in Cebu city?